A dermatologist I was on holiday with told me that Aveeno is the best high-street product you can buy for dry skin. I swear by it, and since its so cheap, I always keep the cupboard stocked up. 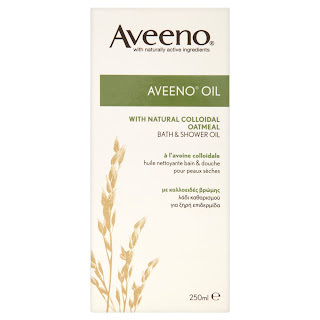 Aveeno Oil is brilliant, because you can use it in the shower and the bath. It creates a lovely milky wash, so there's no need to use soap. It stopped my skin from feeling the effects of those many, many baths I soaked in throughout pregnancy. This oil smells amazing. This was great in the last trimester when I felt tired and fed-up. 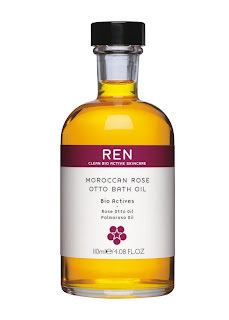 When your other-half refuses to massage you for 'just 5 more minutes' go and take a bath in this REN Rose Otto Oil, its just as good. 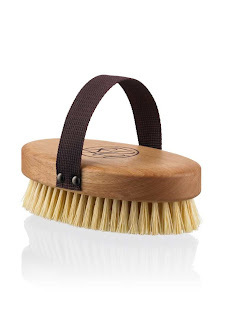 Before you bath/shower, use a body brush on your bum and thighs to stop cellulite and stretch marks. Use long, upwards strokes. Beauty gurus say that by body brushing eliminates toxins by stimulating circulation and the lymph system. This moisturiser is made with grape seed butter and shea-butter, a natural product said to prevent stretch marks. 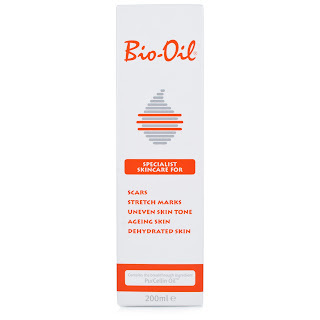 I sometimes find that shea-butter based creams are too heavy, but this one sinks in to your skin quickly. Its the best Caudalie product I've discovered yet.